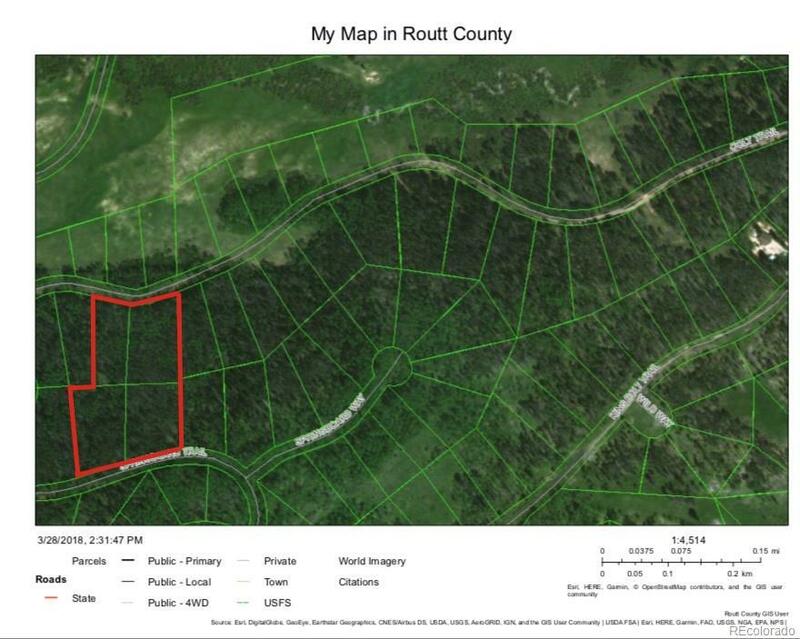 This is an opportunity to own over 5 wooded acres in the Rocky Mountains. This listing includes four different lots that equal 5.16 acres. The owners can build up to four homes, or consolidate the property into one 5 acre lot. Stagecoach is a great place for hiking, biking, fishing, boating, water sports, swimming, cross-country skiing, snowshoeing, ice-fishing, and dog sledding. It is located near Stagecoach State Park, Routt National Forest, Sarvis Creek Wilderness and is a short drive to Steamboat Springs. This neighborhood has been working together to update the road to promote development in the area. The lots combined being over 5 acres have a significance in Routt County since properties over 5 acres are allowed to have a septic system as long as the land passes the percolation test. This makes owning a home in this area of Stagecoach more affordable since lots of less than 5 acres are required to have sewage vaults that have to be regularly cleaned and maintained.